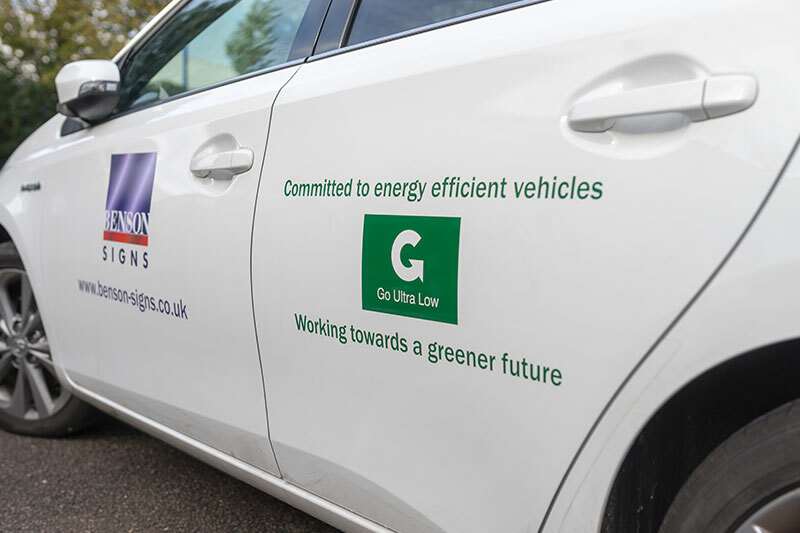 Since 2012 when taking delivery of our 100% electric, zero emission Renault van we have been committed in using energy efficient vehicles. It was our previously acquired Vauxhall ampera which was due to be replaced and after researching the market the Toyota Auris ticked all the boxes. 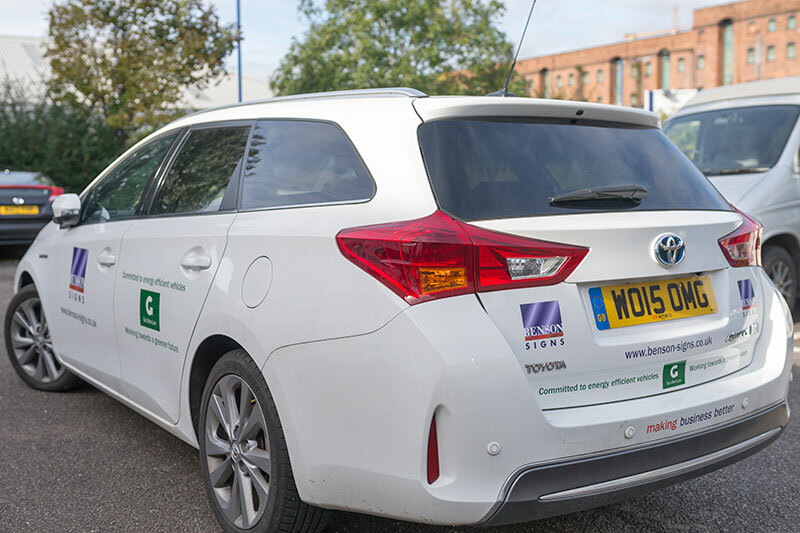 For over 20 years Toyota have been part of a quiet revolution with more than five million hybrid vehicles sold. Around the world a growing movement of like-minded people – young and old – have made a choice, united in saying, we choose hybrid. Hybrid cars save fuel, reduce emissions and even recharge their batteries without being plugged in. You might think they are complicated to own, yet the opposite is true. The latest pool vehicle is used predominantly to travel around the country visiting our nationwide client base. The technology simply isn't ready for 100% electric for the mileage that the vehicle is used for so a hybrid car with Toyotas proven track record and reliability is just what we needed. Eco Hybrid Pool Vehicle at Benson Signs.